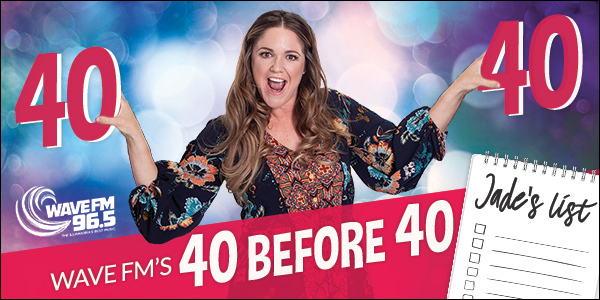 Wave FM's Jade is turning 40 in less than 300 days, so she's building a list of 40 things to do before she cracks the big one... 40 years of age. First item........ Jade has never been camping, so with the help of Holiday Haven Lake Conjola we're making it happen and giving a stack of Illawarra families the chance to join us. Holiday Haven Lake Conjola - It's May Madness at Holiday Haven, book now for fantastic deals! And thanks to Blue Sky Illawarra - OzTrail catalogue sale on now, all families who get to join Jade at Holiday Haven Lake Conjola will receive a free family camping kit that they get to keep including tent, airbeds, sleeping bags and more. Plus, all food will be supplied by Country Grocer - Unanderra and Warrawong Plaza. Hold a spider (I HATE spiders).